The Heel Protector OR’s design addresses the factors required to effectively offload the heels, secure the lower limbs, and maintain recommended knee flexion throughout surgical procedures. “Our goal is to lead the transition away from placing a pillow behind the knees, and instead use a knee cushion and calf cradles to completely elevate the heels while maintaining the recommended knee flexion, aligning with the AORN guidelines,” said Tim Sterzik, Senior Director of Marketing at Sage. The Heel Protector OR will be introduced for the first time at the 2018 AORN Global Surgical Conference & Expo, March 24-28 in New Orleans, LA (booth no. 813). 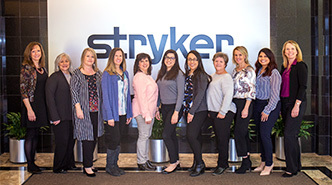 Products from Sage, including Heel Protector OR, will be featured in Stryker’s booth on the show floor during the expo. Heel Protector OR will also be part of a new product showcase hosted at Stryker’s customer event on Sunday, March 25 from 7-10 pm at The Sugar Mill. REFERENCES: 1. Amlung SR, Miller WL, Bosley LM, Adv Sking Wound Care. Nov/Dec 2001; 14(6):297-301.2. Engels, D., Austin, M., McNichol, L., Fencl, J., Gupta, S. and Kazi, H. (2016), Pressure Ulcers: Factors Contributing to Their Development in the OR. AORN Journal, 103: 271–281. doi:10.1016/j.aorn. 3. Burlingame B, Guideline Implementation: Positioning the Patient, AORN Journal, 2017;106: 3,227-237.